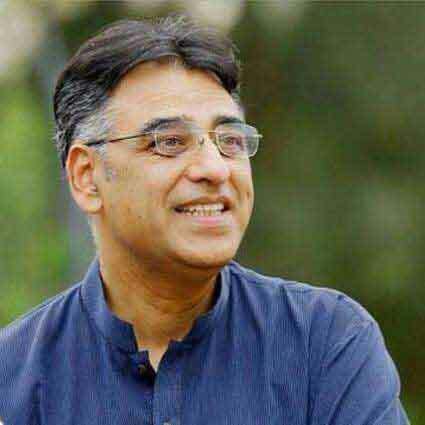 ISLAMABAD: The first meeting of the reconstituted 9th National Finance Commission with Finance Minister Asad Umar in the chair was held in Islamabad Wednesday. He said that apart from distribution, the NFC should also address critical issues related to developing a sustainable fiscal structure for center as well as the federating units. It should also address the social development and poverty alleviation challenges and facilitate the private sector with a view to foster economic development opportunities for the general public. Provincial Ministers/Secretaries Finance gave the meeting update on their fiscal position and also in the process dilated on issues faced by them in different spheres due to resource constraints. The ever rising burden of pension payments, allocation for FATA and need for improved coordination on data sharing were highlighted. They also shared with the meeting proposals on transfer of funds as well as possible future models of revenue generation. Representative from Baluchistan highlighted the fiscal challenges and the progress being made by the Province through interprovincial cooperation and support. He also emphasized better and increased use of automation for revenue generation. KP raised the issue of net hydel profit and difficulties being faced on account of funding required for retirement benefits of employees. Secretary Finance Punjab called for improved coordination between federal and provincial authorities for timely data sharing. Member Sindh pointed out less transfers made under the heads “Straight Transfers” and proposed that data on this account may be shared with Provinces. The participants laid emphasis on smooth vertical and horizontal transfer of funds. The participants also emphasized on the need to end regional disparities. Chairman FBR on the occasion briefed the meeting on revenue generation/tax collection in the current financial year. The participants of the meeting were of the opinion that both the federal government as well as provinces were under-resourced and that additional revenue was needed to meet expenses in different realms including socio-economic development activities. The need was also felt for more clarity on revenue projections by FBR so that the provincial governments could plan adjustments in expenditure accordingly. The meeting decided to form six sub-groups to make proposals/recommendations on (1) Macroeconomic framework and benchmarking, to be coordinated by Punjab, (2) Vertical Distribution of the divisible pool taxes between federation and provinces including needs of AJ&K and GB to be coordinated by Federal Government (3) Horizontal Distribution of divisible pool taxes amongst provinces to be coordinated by Balochistan (4) Straight Transfers to be coordinated by Baluchistan (5) Measures required to be taken to simplify tax procedures and payment systems to facilitate businesses to be coordinated by Sindh and (6) Integration/merger of FATA in Khyber Pakhtunkhwa to be coordinated by Khyber Pakhtunkhwa.